An editorial published today in The Journal of the American Medical Association by NIDA Director Dr. Nora Volkow and NIDA Deputy Director Dr. Wilson Compton discusses the importance of the new long-acting buprenorphine implant technology as an added tool in opioid addiction treatment. Buprenorphine is a medication for opioid dependence, originally approved as a tablet for daily use. The authors also summarize current prevention and treatment efforts to address the opioid overdose epidemic and heroin crisis occurring across the United States today. Buprenorphine implant provides a unique tool to address the complex nature of opioid use disorder. The authors specifically highlight research by Rosenthal and colleagues which reports the results of a randomized clinical trial comparing the buprenorphine six month subdermal implant to daily oral buprenorphine (the current standard of care). Results strongly indicate that the buprenorphine implant is effective in achieving long-term opioid abstinence for a subgroup of patients who have already achieved and sustained prolonged clinical stability on low-to-moderate doses of oral buprenorphine. As a result, the Food and Drug Administration recently approved the implant for up to one year of treatment for those patients. Future research is now needed to confirm whether the implant may even be more effective than oral buprenorphine by contributing to treatment adherence over time. This novel approach to delivering care could open up treatment to new, previously hard-to-reach populations, including those in the criminal justice system and in rural areas. Reference: "Improving Outcomes for Persons with Opioid Use Disorders: Buprenorphine Implants to Improve Adherence and Access to Care" by Wilson M. Compton, M.D., M.P.E, Deputy Director, National Institute on Drug Abuse, and Nora D. Volkow, M.D., Director, National Institute on Drug Abuse, published online on July 19, 2016 in The Journal of the American Medical Association. For more information about Probuphine, go to: https://www.drugabuse.gov/news-events/news-releases/2016/05/fda-approves-six-month-implant-treatment-opioid-dependence. NIDA. "NIDA editorial supports use of buprenorphine implant for opioid use disorder." National Institute on Drug Abuse, 19 Jul. 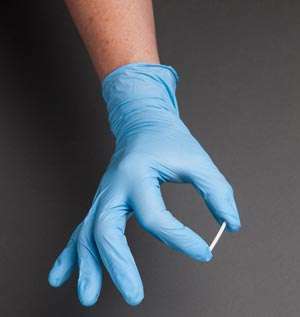 2016, https://www.drugabuse.gov/news-events/news-releases/2016/07/nida-editorial-supports-use-buprenorphine-implant-opioid-use-disorder. NIDA. NIDA editorial supports use of buprenorphine implant for opioid use disorder. National Institute on Drug Abuse website. https://www.drugabuse.gov/news-events/news-releases/2016/07/nida-editorial-supports-use-buprenorphine-implant-opioid-use-disorder. July 19, 2016.